BROWNS MILLS – A Christ-centered, multicultural summer camp experience is coming to Pinelands Center in 2018. Next Generation Ministries, GNJ’s strategic partnership of youth, camping and campus ministries will partner with Barefoot Republic Camp in a new and exciting experience focused on building unity within the Body of Christ for rising 6-8th graders. The Barefoot Republic camping model was started by Tommy Rhodes in the Nashville region during the early 1990s. The camp’s focus is to create an experience that reflects the reality of the Kingdom of God. The partnership between Next Generation Ministries and Barefoot Republic will provide GNJ the opportunity to hold camp in Pinelands Center at Mt. Misery for middle schoolers for the first time in three years. While the staff at Pinelands Center has been busy hosting retreats and school programs, Barefoot Republic’s program allows Pinelands to reinstate weeklong overnight camping for 2018 . “This camp is an important step in making us a more connectional church where our youth ministries do not stop at the doors of our churches, and where our next generation of leaders and disciple-makers feel like they belong to a ministry that is larger than themselves or their towns,” said Clements. Barefoot Republic uses a model focused on passionate worship including large group worship jam sessions and small group “story-ing” time: an opportunity for students to learn scripture through storytelling. Rev. Brandon Cho of Morristown UMC, President of the Board of Directors of Next Gen Ministries expressed thrill at the vitalization of this forward-thinking initiative. In light of GNJ’s current cultural landscape, Cho sees the need to develop Christ-centered inclusive young leaders among the next generation who can build bridges among various cultures and classes. “I believe transformational experience for our young people through camp is a powerful way to achieve that vision,” he said. 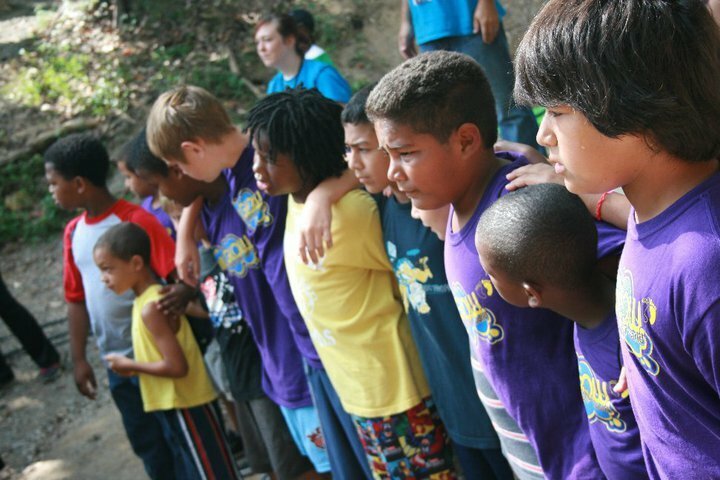 At the beginning of camp, campers will choose a specialty which may include sports, arts, or music. The specialty will be worked on throughout the week as campers discover that they share a passion with other campers who do not look like them or come from the same background. These specialties allow kids who may have thought they had nothing in common to connect and develop counter-intuitive friendships.